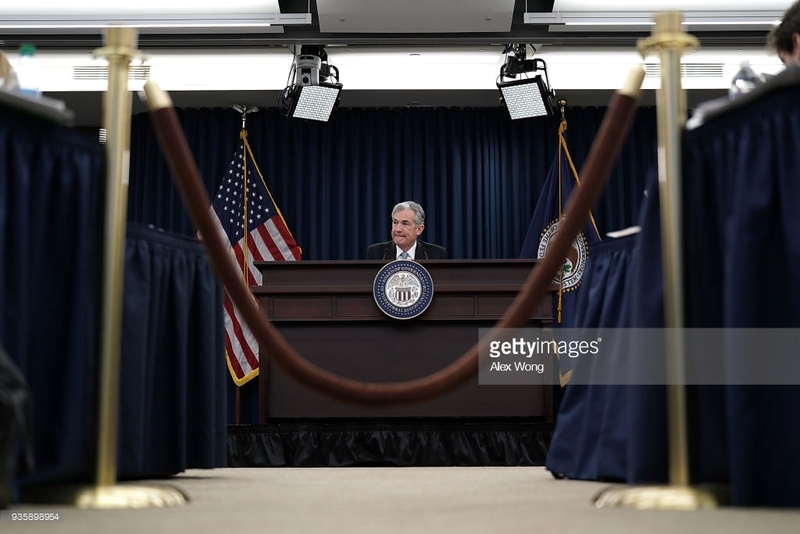 After approximately two months since taking over the helm as the chairman of the Federal Reserve, Jerome Powell announced a rate increase. The move was expected as while rates are cyclical they are based on a variety of economic factors. Powell and the rest of the board agreed recent unemployment numbers, household confidence and the positive direction of the economy provided justification of moving the rates one-quarter of a percent or to the highest level of the year at 1.750%. The formal announcement via a press conference followed the Federal Open Market Committee (FOMC) meeting held earlier today. The vote was unanimous as all members of the FOMC voted to increase the rate. “The Committee expects that economic conditions will evolve in a manner that will warrant further gradual increases in the federal funds rate; the federal funds rate is likely to remain, for some time, below levels that are expected to prevail in the longer run. However, the actual path of the federal funds rate will depend on the economic outlook as informed by incoming data.” Federal Reserve. The Federal Reserve is responsible for U. S. monetary policy and when there are positive economic signs, rate increases are a necessary buffer to control inflation or other negative impacts. During the press conference, Powell mentioned at least two more rate increases are scheduled for 2018. The fed rate is related to what banks are charged to obtain funds.